Kingsmoor Packaging (KPL) has increased production capacity and improved its energy efficiency in the process as a result of installing a GA90 VSD compressor from Atlas Copco. The decision provides KPL with the flexibility to meet future growth and follows an extensive plant operation review that included undertaking an iiTrak system energy audit. 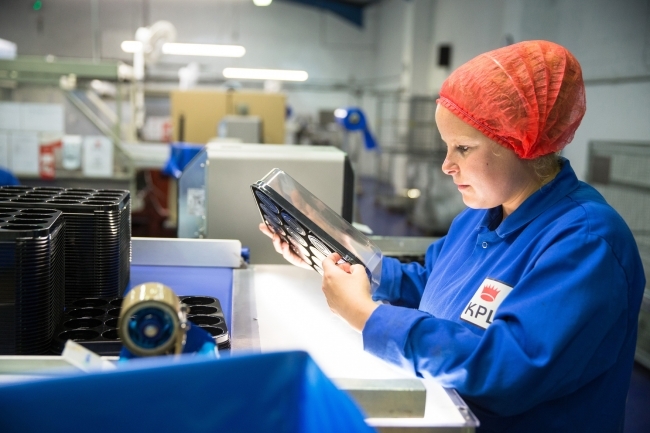 KPL is a privately-owned family business based in Somerton, Somerset, that has been designing and manufacturing bespoke thermoformed plastic packaging for the food industry since 1990. The company supplies a range of products that are available with different microwaveable and freezable characteristics, as well as environmentally friendly options composed of at least 50 per cent post-consumer and 30 per cent industry recycled waste materials. To achieve this, KPL’s thermoforming process relies heavily on air movement with compressed air being available at the moulding stage. 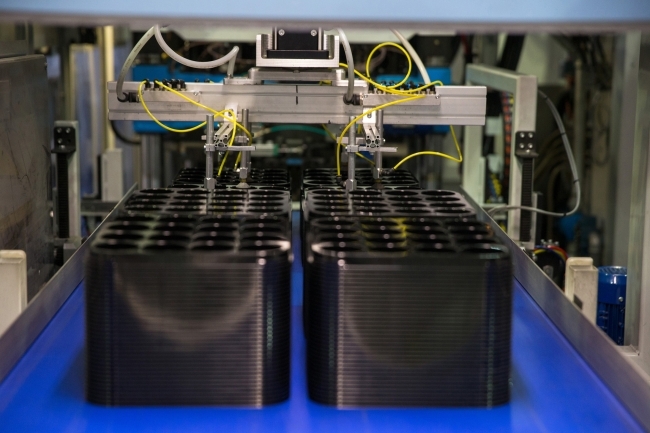 This is particularly relevant in pressure box techniques whereby the heated plastic material is formed onto a positive mould with the aid of air pressure. Although there were no major issues to address, it was felt that the compressed air system had been in use for a considerable time and “was in need of an upgrade in line with the latest developments in compressed air technology,” states Gunn. Atlas Copco was called on to carry out an iiTrak system energy audit to check the load cycle profile for each compressor in KPL’s system. The goal of this exercise is to create a representation of the air and energy being used during a typical production week. This data monitoring exercise is then used to extrapolate an annual use of compressed air, the energy used and its cost. The results of assessment revealed that the existing fixed-speed compressor rated at 110 kW and producing 333 l/s, was operating within a fluctuating pressure band of 1.60 bar. This meant the compressor was loading and unloading between 6.4 bar and 8 bar. Every time a compressor unloads it wastes energy while the motor is idling but the air inlet control is closed and the unit is not producing air*. A general rule is that for every 1 bar a compressor operates above the required pressure the system will potentially use 7 per cent more energy. The recommendation was to install a 90 kW Atlas Copco GA90 VSD rotary screw compressor with air quality ancillaries. As the lead unit, this would match the variable production air demand in the region of 39-293 l/s and cope easily with the existing and anticipated demand. 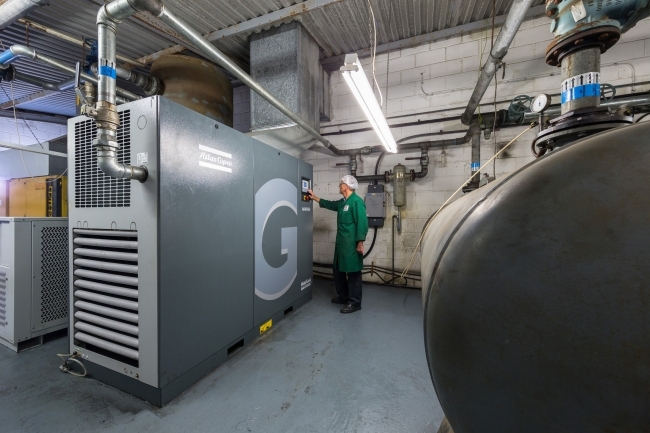 In practice, the company’s existing fixed-speed compressor was retained as back up and together with its dryer, receiver, oil water separator and pipework was re-sited from its warehouse location to the main compressor room to accompany the new GA VSD unit.